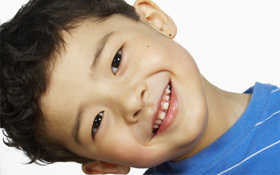 The office of Dr. Lisa West is custom designed, to specifically meet the needs of the child patient, and exceed the expectations of moms and dads. Custom paint colors designed to psychologically unwind the child. 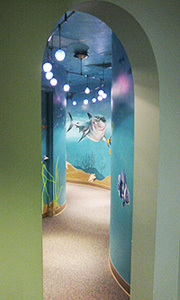 Curved walls, and glass walls, (no corners) and specialty lighting, all designed to calm and welcome the children as they enter the treatment areas. Reception area arcade games and current publications for parents and children to enjoy before and after treatment. Immaculate Restrooms with changing station… just in case. Free diaper change packs from Koala. Professional check out area and educated staff for post visit confidence. Comfortable seating. 5 years of hands on experience dictated many of the more subtle, often unnoticed designs of this state of the art pediatric facility, with even more design subtleties not listed. 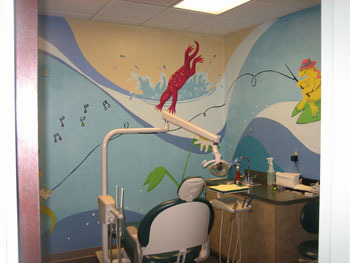 Copyright © 2008 Children's Dentistry - Dr. Lisa West, DMD PC. All rights reserved. Click on the thumbnails above to view a larger image.